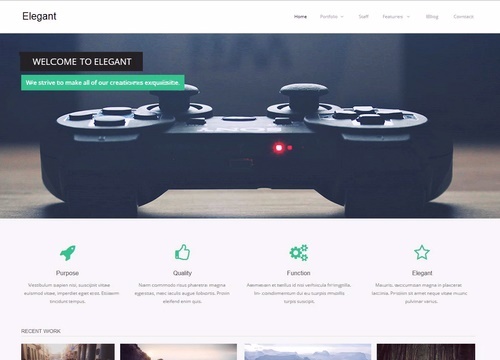 Elegant is a free business and portfolio WordPress theme. The classic and tidy design of this theme make it modern and professional, and a perfect fit for small businesses, freelancers, nonprofits, bloggers and more. 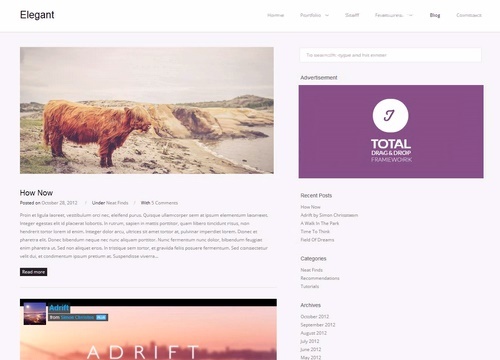 There are built-in custom post types so adding content for your homepage, portfolio and staff page is simple. 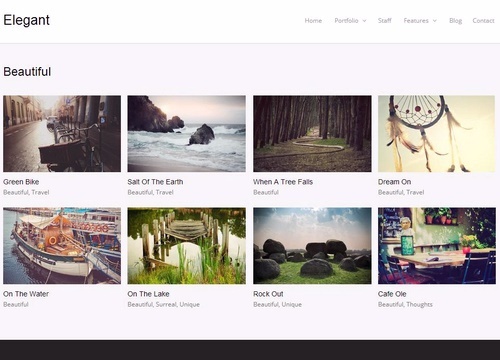 Elegant uses the built-in WordPress theme Customizer for simple theme customizations including custom logo upload, background color, background image, portfolio posts per page (for the archive and the homepage), homepage selection, footer copyright text and more.